Researchers met in Reykjavik, Iceland to assess the impact that catastrophes in Earth’s history, such as asteroid impacts, massive volcanic eruptions, plate tectonics, and mass extinctions have had on the global carbon cycle. The presented research and subsequent discussion will be reported in an upcoming special thematic issue of Elements. DCO researchers have made great strides toward quantifying the numerous ways carbon moves into and out of the subsurface, but the data are incomplete. 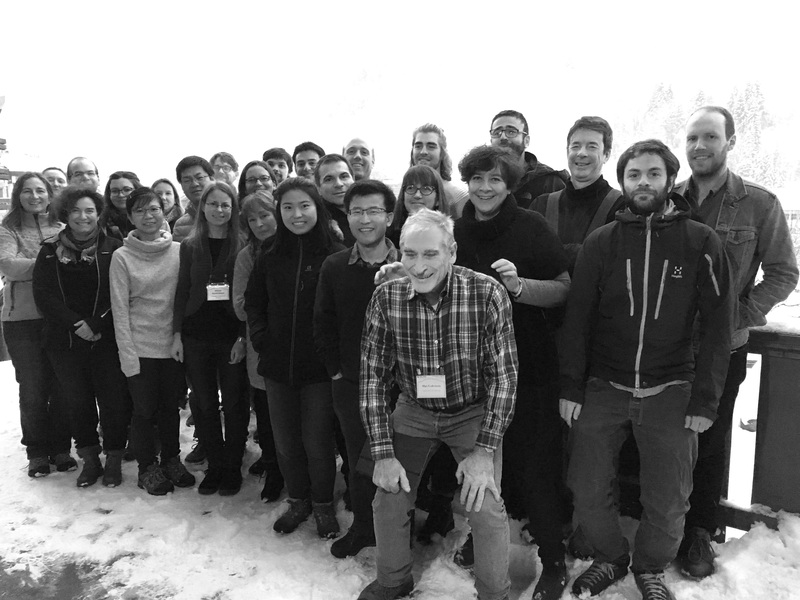 Twenty-four DCO researchers gathered in Reykjavik, Iceland, 10-11 September 2018 to help fill in the missing pieces by considering the effects of short-lived, yet extreme events in Earth’s history that may have caused dramatic perturbations to the “steady-state” carbon cycle in Earth. “Earth has largely been shaped by sudden, short-lived violent events possibly global in scope,” said conference co-organizer Adrian Jones (University College, London, UK), quoting Georges Cuvier, the founding father of paleontology, during his talk at the workshop. 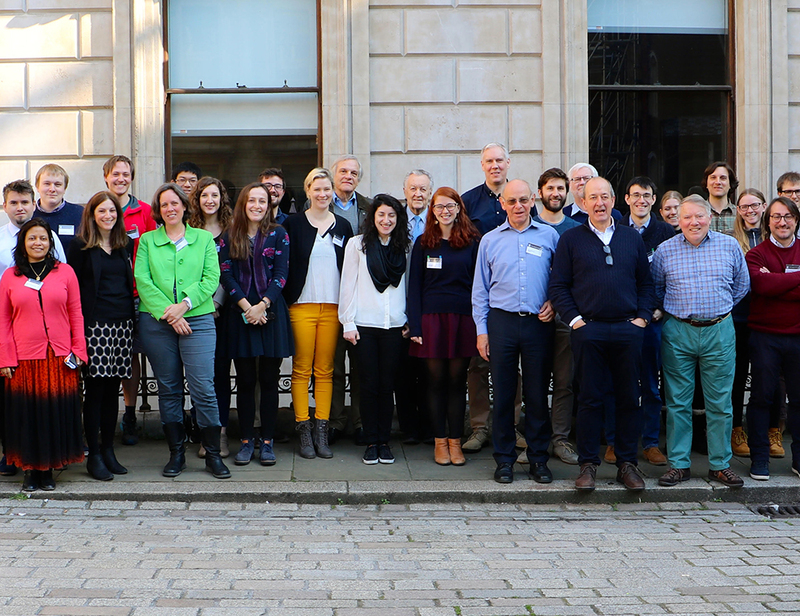 Jones, Marie Edmonds (University of Cambridge, UK), and Celina Suarez (University of Arkansas, USA) organized the two-day meeting, aided by Brendan McCormick Kilbride (University of Cambridge, UK). 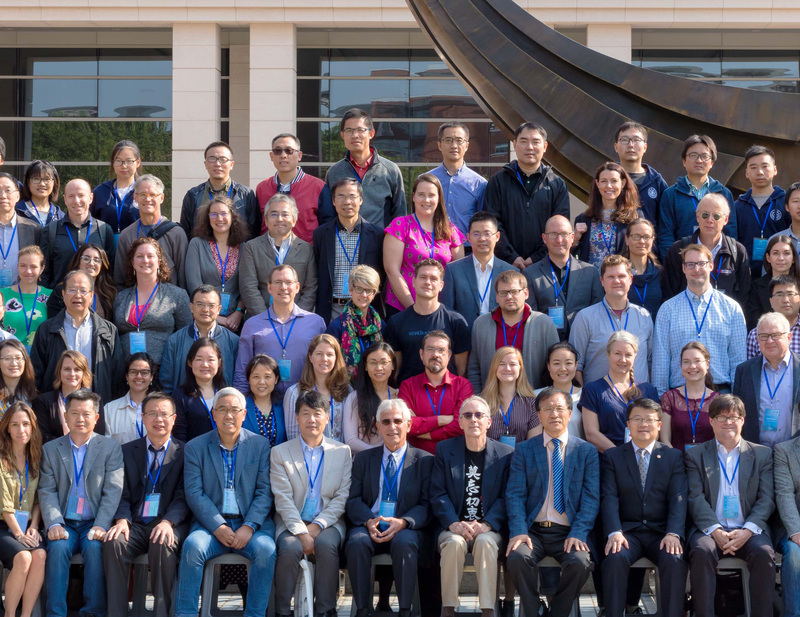 During two days of jam-packed sessions, researchers considered—and actively debated—the potential impacts, such as mass extinctions, of catastrophic carbon perturbations caused by everything from flood basalt eruptions and bolide impacts to methane clathrate instabilities. Why are catastrophic perturbations so critical for understanding the global carbon cycle? Earth is a habitable planet today because of the fluxes of carbon moving into and out of the subsurface. Volcanic eruptions, the movement of tectonic plates, and several other processes balance the amount of carbon dioxide in the atmosphere to maintain a stable global climate that it amenable to life. But Earth’s climate has not always been so stable. Catastrophic events have periodically pushed the carbon cycle out of balance, leading to swings between “icehouse” and “greenhouse” climates and mass extinctions. High-energy asteroid impacts triggered volcanic eruptions and the release of carbon through “shock decarbonation.” Massive million-year long volcanic eruptions released giant amounts of carbon and halogens into the atmosphere, and are associated with four of the five largest mass extinctions. The movement of tectonic plates has given off carbon dioxide through volcanic activity and the opening of rifts, and soaked up carbon through weathering. These blips in the geological record are more difficult to study than stable periods. Learning more about these rare, catastrophic events, however, can yield a deeper understanding of how carbon moves between surface and subsurface environments, and how perturbations, such as the current large-scale burning of fossil fuels, will alter Earth in the future. The workshop literally started with a bang, with participants considering the “Origins of carbon and extraterrestrial impacts.” Evelyn Füri (Centre de Recherches Pétrographiques et Géochimiques, France) discussed the role of bombardment from chondritic asteroids, comets, and other planetary bodies as one possible important source of carbon very early in Earth’s history, during accretion and the formation of Earth’s geochemical layers. Balz Kamber (Queensland University of Technology, Australia) showed that these asteroid bombardments continued over the next two billion years, and were not only destructive but also may have created cradles of life in small ponds inside craters, where hydrothermal circulation set up unique environments rich in nutrients. Co-organizer Jones suggested that diamonds and their high-pressure mineral inclusions may have recorded the shock from these high-energy impacts, an idea he suggests needs further investigation. Mass extinctions, and the kinds of climate perturbations sufficient to trigger them, were a major theme running through many presentations. Martin Schobben (Utrecht University, Netherlands) reviewed the record of mass extinctions and their relationship to major carbon-perturbations. He noted the variable magnitude of carbon disturbances in different types of samples, such as bulk carbonate rock or organic carbon, may be an important clue to determining the perturbation’s source. Jeremy Williams (Kent State University, USA) gave an example of the carbon record of the Permian-Triassic mass extinction, which was the largest in Earth’s history, while Celina Suarez (University of Arkansas, USA) discussed the end-Triassic mass extinction from a terrestrial point of view. Marina Suarez (University of Texas at San Antonio, USA) rounded out this conversation by discussing the effects of carbon perturbations on land and their conflicting role on continental climate during the mid-Cretaceous. Most of Earth’s mass extinctions coincide with giant eruptions of flood basalts, which created giant buildups of igneous rocks called Large Igneous Provinces (LIPs). Benjamin Black (City University of New York, USA) presented a new compilation of data on the likely volatile outputs of LIPs, showing that these eruptions could have released giant volumes of carbon to the atmosphere, even when the magma doesn’t erupt onto the surface. Joshua West (University of Southern California, USA) put forward the idea that LIPs became less deadly in the past 150 million years because of the great diversification of plankton "calcifiers" in the late Jurassic to Cretaceous. These tiny ocean plankton build shells from calcium carbonate, which are subsequently buried in sediments, so they act as a buffer by consuming excess carbon for their shells. 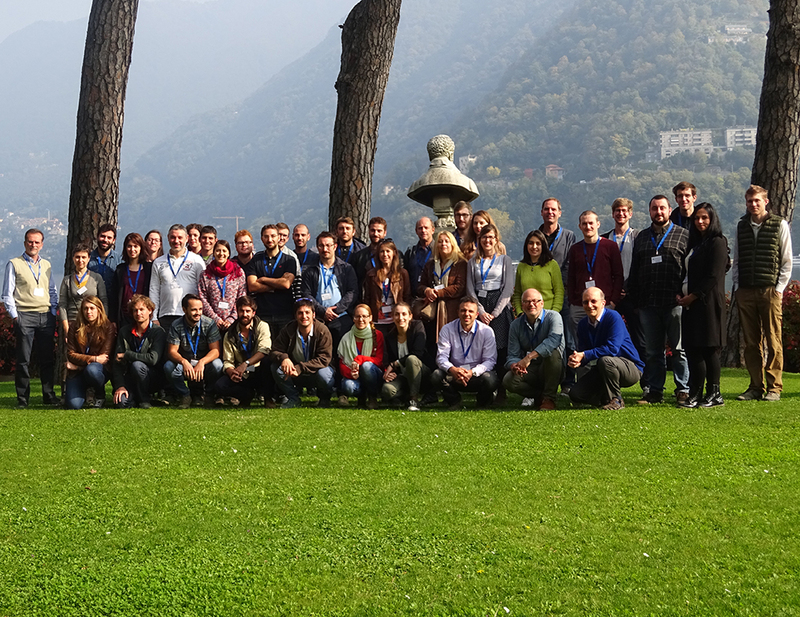 Modeling tectonic perturbations to Earth’s long-term carbon cycle rounded out the discussion. Sabin Zahirovic (University of Sydney) demonstrated how moving tectonic plates are both a source and a sink for carbon, as demonstrated by the modeling software GPlates. Tim Lenton (University of Exeter, UK) presented his COPSE (Carbon, Oxygen, Phosphorus, Sulphur and Evolution) model, which takes into account biogeochemical cycling and the biological and tectonic factors driving the carbon cycle. The following discussion considered how the deep carbon cycle might impact the surface reservoir of carbon in ways that are not currently taken into account, such as the storage of sediments on the continents and variability in carbon dioxide emissions from arc volcanoes over geological time. Despite these advances, gaps remain in our understanding of how large-scale perturbations alter the deep carbon cycle. Workshop attendees identified questions yet-to-be answered: Can we use plate tectonic reconstructions coupled with climate models to improve our understanding of the tectonic controls on climate? Is the current Phanerozoic climate response to the deep carbon cycle fundamentally different from earlier in Earth’s history? What is the origin of carbon isotope perturbations in the geological record? Does the shock of meteorite impacts affect mineral stability in the underlying crust and mantle? And perhaps most concerning, is the current perturbation to the climate cycle through the release of greenhouse gases sufficient to trigger the next mass extinction? Researchers will address these questions and others in a special open-access issue of Elements Magazine entitled “Catastrophic Perturbations to Earth’s Carbon Cycle,” to be published in August 2019. 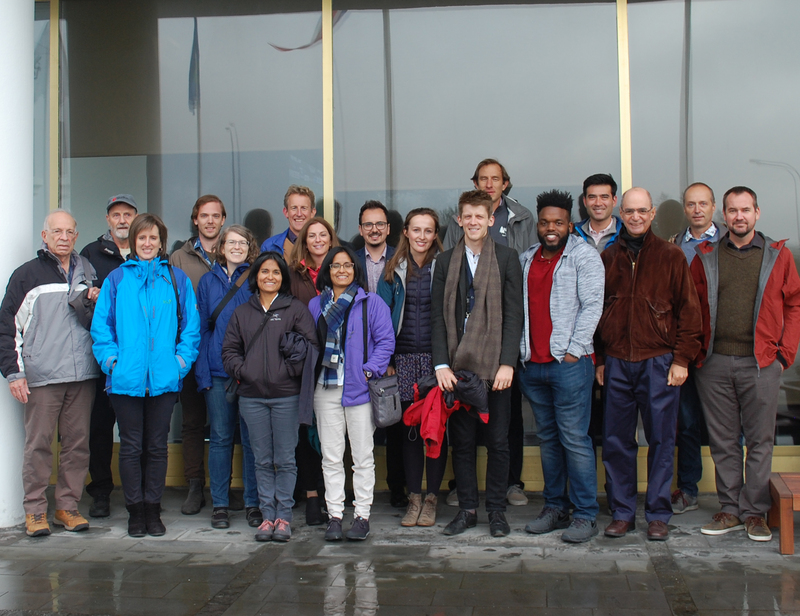 After the DCO workshop concluded, attendees joined with four other groups conducting subsurface and carbon research for the International Carbon Conference, held at the University of Reykjavik. The meeting included researchers from Metal-Aid, a European Horizon 2020-funded project to develop methods to address metal-contaminated soil and groundwater; Science for Clean Energy (S4CE) a consortium that tests geoenergy operations in the subsurface; CarbonSAFE, a U.S. Department of Energy project to advance geologic storage of industrial carbon dioxide; and CarbFix, a project led by Reykjavik Energy to find ways of permanently storing carbon dioxide underground in basalts. 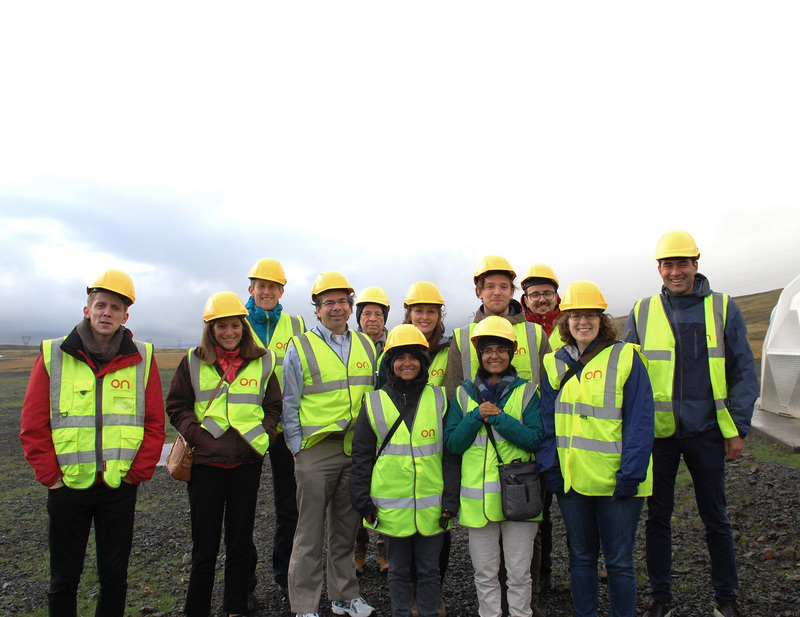 Conference attendees also visited the Hellisheiði Power Station to see the CarbFix carbon capture and injection sites. Following the meeting, many attendees participated in a two-day field trip to Eyjafjallajökull, the volcano that disrupted air travel in Europe in 2010, and its overlying glacier, and traveled to Heimaey in the Westman Islands, where the Eldfell volcano buried one third of the town in 1973. With its dynamic and striking environment, the “Land of Fire and Ice” was the perfect location to discuss the catastrophic events that have altered the global carbon cycle, caused mass extinctions, and left their mark on Earth’s landscape.